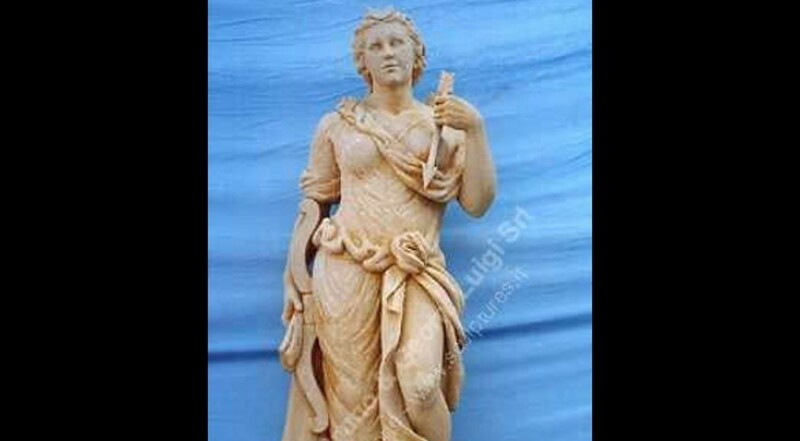 A Diana statue, hand carved in Vicenza stone by our sculpture. A particular drapes design with a large knot, the carved bow with arrow in one hand. Particular and classic Greek sculpture and roman. Statue complete with a decorated base with typical shell design on the front. Artemis was one of the most widely venerated of the Ancient Greek deities. Her Roman equivalent is Diana. Dimensions: Statue height 71"; Base height 16"